Today I will be showing you how to make a super easy diy. 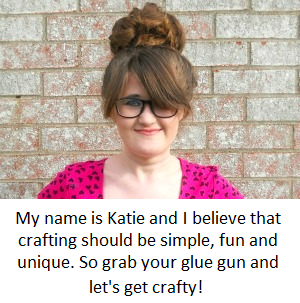 This project you can make in about an hour and is totally customizable to fit your taste. 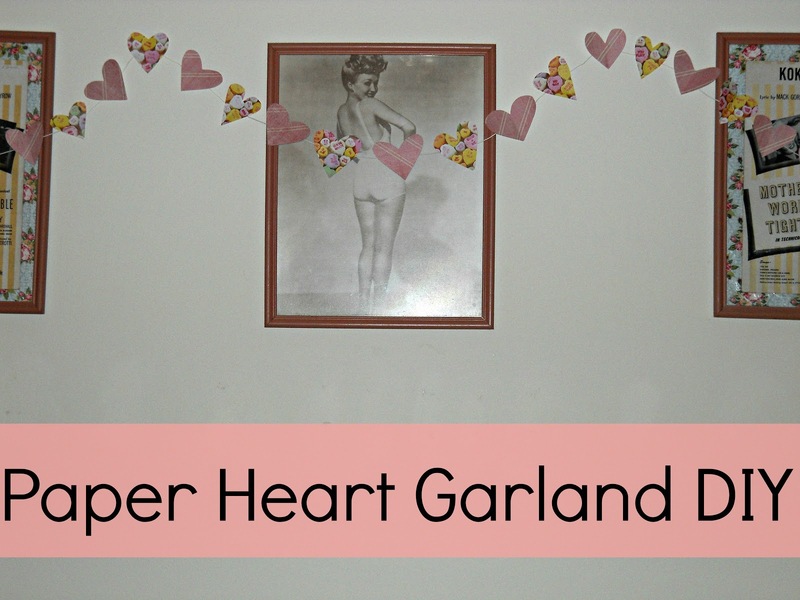 Today's project is a paper heart garland! Now I know this is not the greatest of projects to make but its a cute project if you want to decorate a wall or cork-board in a pinch. Step 1: Cut out your hearts. You can either use a heart template, a heart punch or you can do it old school and cut out random heart shapes (I went old school). Keep cutting out hearts until you have your desire amount (I ended up having 27 hearts). Step 2: Now flip your hearts over, lay the cord on top and add a piece of tape. Keep doing that, until you have your desire length. The one thing I will say, is that I had to put some extra tape on the back of the hearts so they wouldn't flip around. But other than that I love how it turned out. 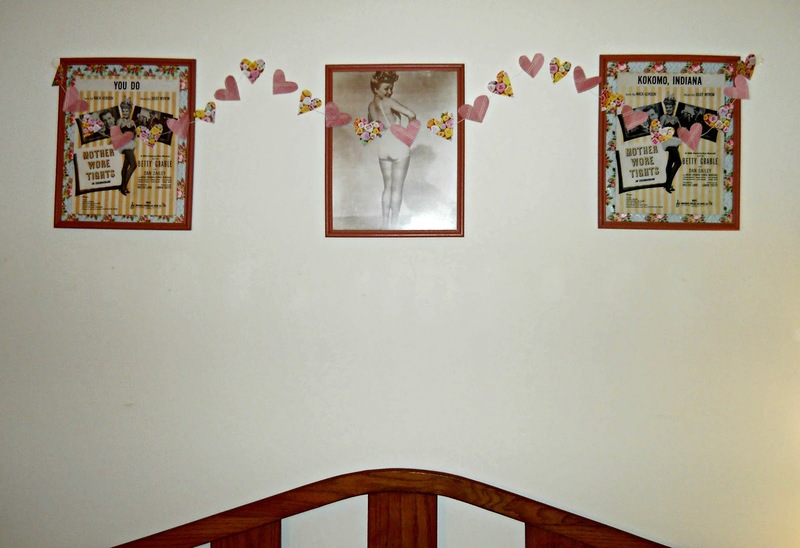 Also in case any of you are wondering, the three framed pictures above all deal with Betty Grable. The two yellow pieces on the ends are sheet music and the one in the middle is just a picture. I just love your blog name!! I found you through a blog hop. 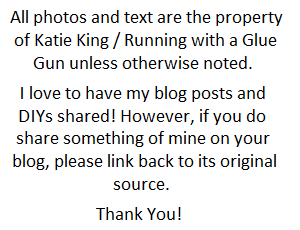 I think your advertsing on someone's blog who signed up. We have a lot in common as far as DIY. Thanks for sharing your lovely projects! I am a new follower from the Mingle Blog Hop. Can't wait to read more! 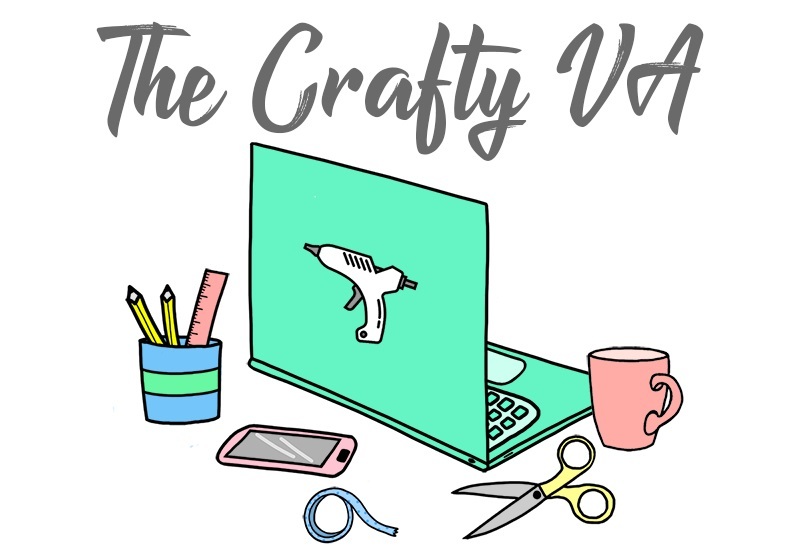 Would love for you to stop by my blog sometime!